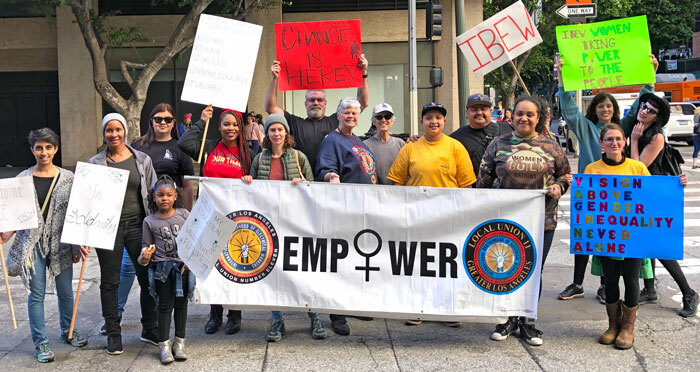 IBEW Local 11 Sisters and Brothers proudly marched in the 2019 Los Angeles Women’s March. There was sun, music, speakers and tremendous positive energy! This year’s theme Truth to Power called for us to continue to hold our elected officials responsible to their duties to the women and men of this country. The IBEW Sisters and Brothers are committed to GOTV, precinct walking, phone banking, marching and whatever it takes until our working families are represented fairly.